Terrific capture especially those flying water droplets, Troy! Thank you, KK. How often do you shoot in Hong Kong? I’m leaving tonight and fly there often. A lovely sight- well captured. Very nice environment with water drops, a soft reflection and pretty colors. Nicely captured Troy! Nice colors, BG and vertical framing. Super nice action and picture in all aspects . Have not been out shooting of late. Weather is unstable right now, showery and thunderstorms over here. When I get the 500mm pf, I can bring them on my layover. 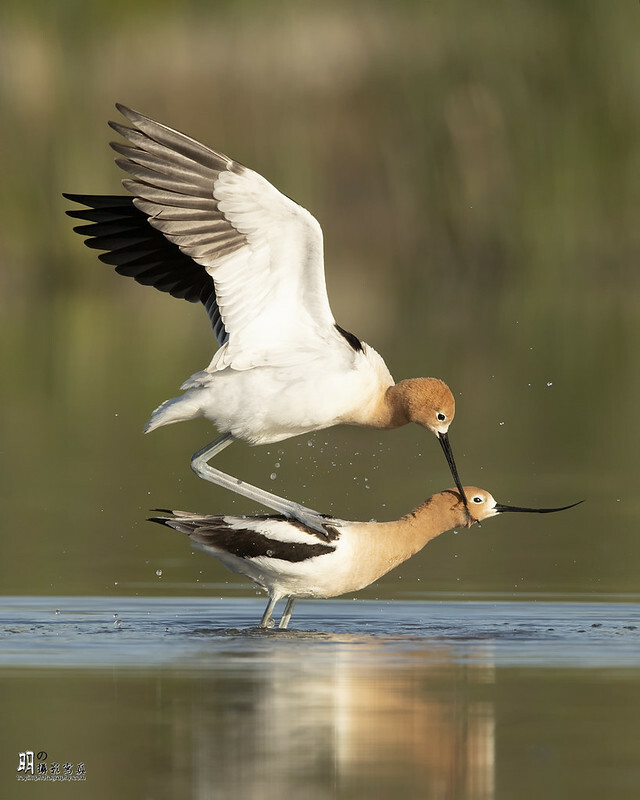 Beautiful capture of these elegant avocets, Troy!